A club that is now well established here in WIT, the club has tasted success on the 3rd level scene in the past number of years. 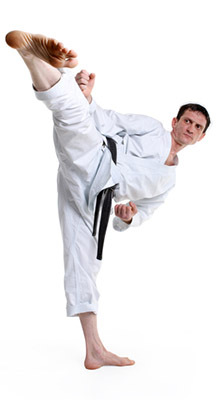 The aims of the club include: teaching the traditional methods of karate, fostering the character development of its members through training, compete in intervarsity competitions, fitness training and encouraging a strong friendly atmosphere among all its members. As well as basic training we also cover self-defence, fitness training and competition style sparring for intervarsity throughout the country. Another part of the club tradition is that all our members get together regularly and socialise outside of club hours!